Sum 41 is a Canadian punk rock band from Ajax, Ontario, Canada, active since 1996. 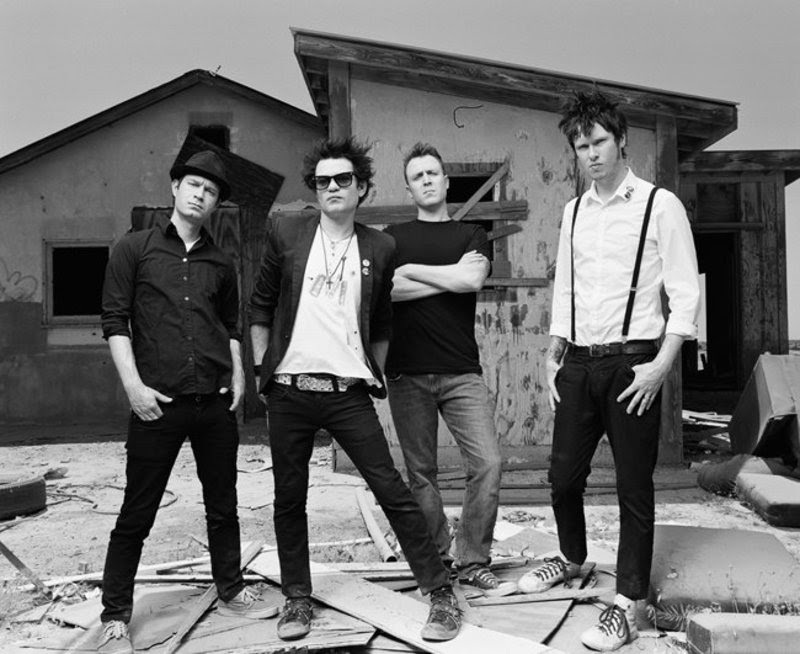 The current members are Deryck Whibley (lead vocals, rhythm guitar), Jason McCaslin (bass guitar, backing vocals), and Tom Thacker (lead guitar, backing vocals, keyboard). They’ve released five studio albums. Sum 41 released their debut album, All Killer No Filler, in 2001 and achieved mainstream success through the album’s first single, “Fat Lip”, which reached number-one on the Billboard Modern Rock Tracks chart; it remains the band’s most successful single to date. They have since released four more studio albums: Does This Look Infected? (2002), Chuck (2004), Underclass Hero (2007), and Screaming Bloody Murder (2011). The band was formed by singer-songwriter Deryck Whibley and drummer Steve Jocz, after Whibley convinced Jocz to join his band. Jocz was a drummer in another band and Whibley was convinced that “he was the best drummer around”. The duo then added Dave Baksh as lead guitarist a year later and after going through several bassists, ended up picking Jason McCaslin to complete their lineup. "Fat Lip" was released in April 2001 as the lead single from their 2001 album All Killer No Filler. It is the band's most successful single to date, topping the Billboard Modern Rock Tracks chart. It peaked at number 66 on the Billboard Hot 100 chart and at number 8 on the UK Singles Chart. 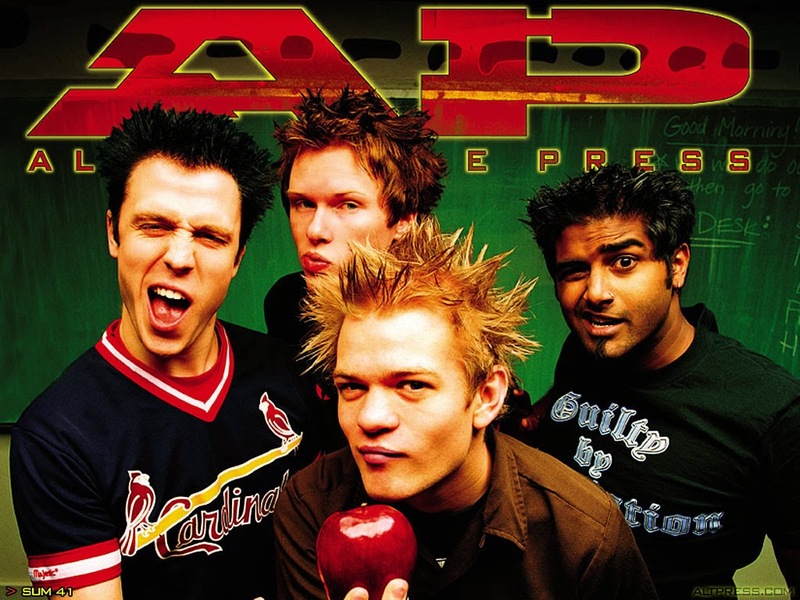 The high-tempo song includes elements of hip hop, heavy metal, pop punk and skate punk, with Deryck Whibley, Dave Baksh and Steve Jocz sharing vocals. "The verses are really about what we do: growing up in the suburbs, going to parties and hanging out with our friends, and causing trouble. A lot of people say they relate to it," said Whibley. The song gets its name from the slang term for a swollen lip as a result of being punched in the face. "In Too Deep" was released in September 2001 as second single from the album All Killer, No Filler. The music video was directed by Marc Klasfeld and premiered in September 2001. It is a parody of the diving competition from the Rodney Dangerfield classic, Back to School. Sum 41 face another dive team, represented as stereotypical high school "jocks" with muscular bodies and red Speedos. Each band member takes their turn diving off the board in comical fashion as they dive against their opposition who dive with mocking perfection. After guitarist Dave Baksh completes his dive, he then rises out of the water to play his guitar solo. (Both Cone and Dave have confirmed this is copied from Guns N' Roses's video for "Estranged".) After each dive, the video cuts to a scene of the band playing in an empty pool surrounded by fans cheering along. On the last dive, drummer Steve Jocz does a comically dramatic dive (similar to the dive done by Dangerfield's character in Back to School, also known as the 'Triple Lindy') in which he bounces off of every diving board and lands perfectly in the water. He is rewarded with perfect marks from the judges. The band wins and we see their disgruntled opposition. The whole crowd then dives in the pool in celebration.